Imran, Ashwin and Mark sit down for an impromptu pod to discuss United's historic Champions League victory over PSG. 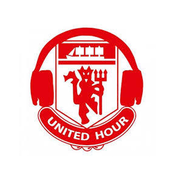 We recorded this pod before the Arsenal game, so wash away those Emirates blues and relive that magical night in Paris one more time. Nik, Ashwin and Mark look back on a trio on matches where our squad depth was put to the test after a crazy run of injuries; the draw with Liverpool and hard fought wins over Crystal Palace and Southampton. Then we ask if we have any chance of progression in the Champions League and assess our chances of qualifying next season with a 6pointer against Arsenal coming up. In the toughest run of fixtures of the season so far, we analyse Ole's first defeat at the hands of Paris Saint-Germain. Then our first win at Stamford Bridge for years and finally get ready for this weekend's battle royale against Liverpool.